Home List Template PowerShell SharePoint Online How to Export a List Template in SharePoint Online using PowerShell? List templates in SharePoint Online enables you to reuse any list with its fields, formulas, formatting, and optionally data in other site collections without re-creating the list again. List Templates should be downloaded and uploaded to another sites in order to create lists from it. 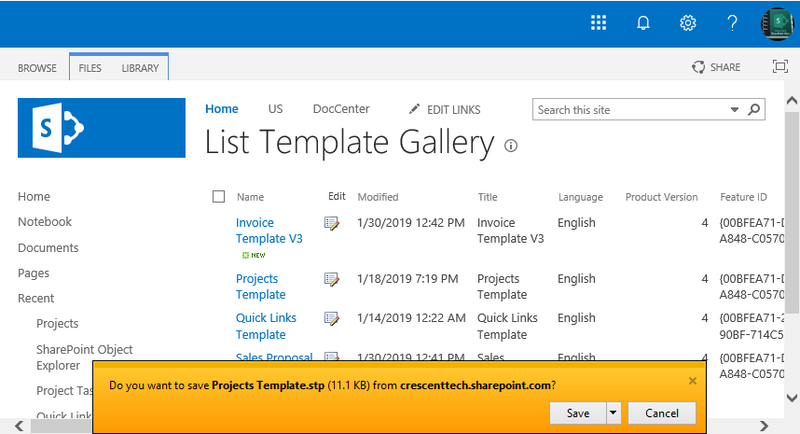 Here is how to download a list template SharePoint Online. 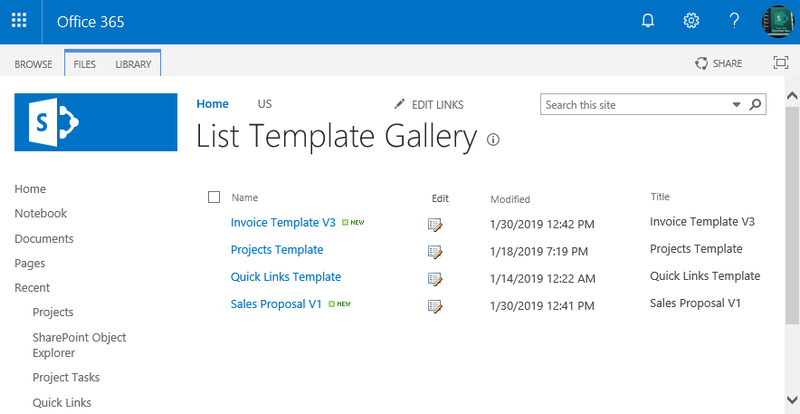 How to Export a List Template in SharePoint Online? In the "List templates Gallery", Click on "Name" column link for the list template you want to download. This triggers file download prompt, click Save to download the file. List Templates feature is scoped at site collection. So, will be available only at top level site settings! Here is the PowerShell to download a list template SharePoint Online. This PowerShell script exports list template in SharePoint Online. To deploy a list template in SharePoint Online , use: How to upload a list template to SharePoint Online using PowerShell?